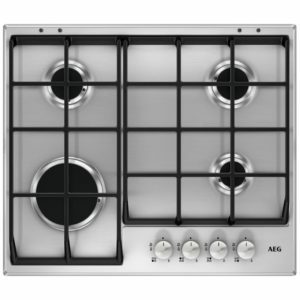 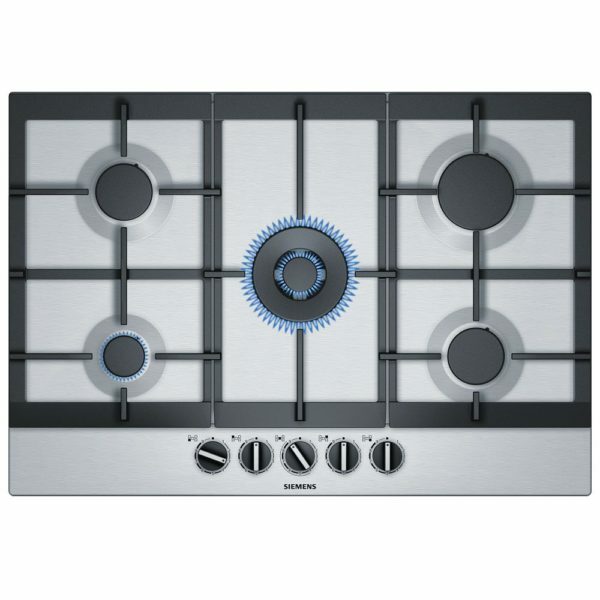 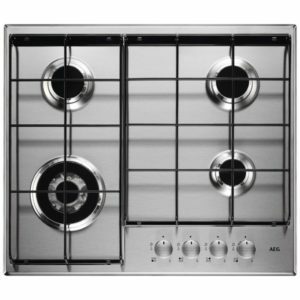 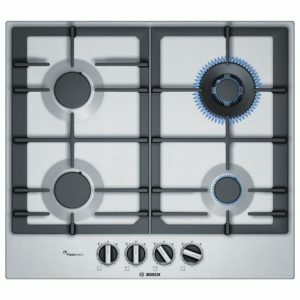 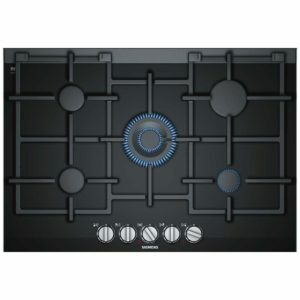 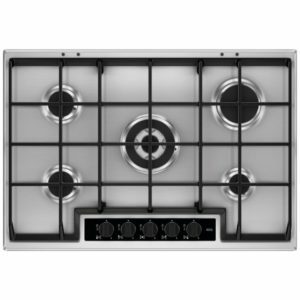 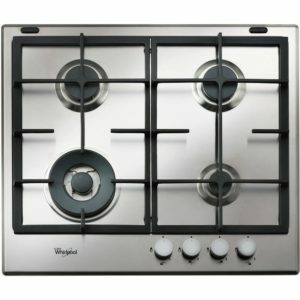 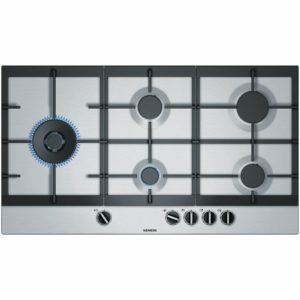 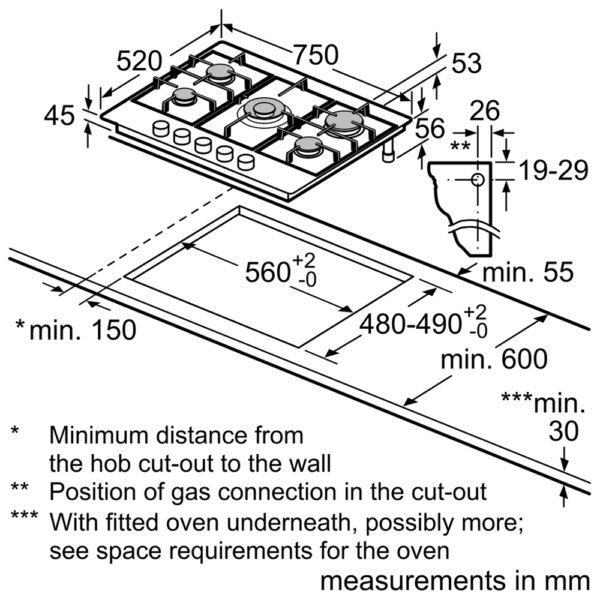 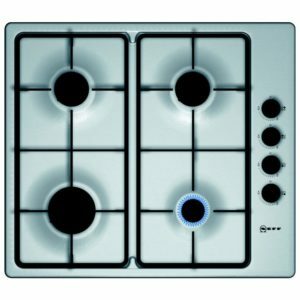 We love the sleek design and brillant control that this 5 burner gas hob from Siemens offers. 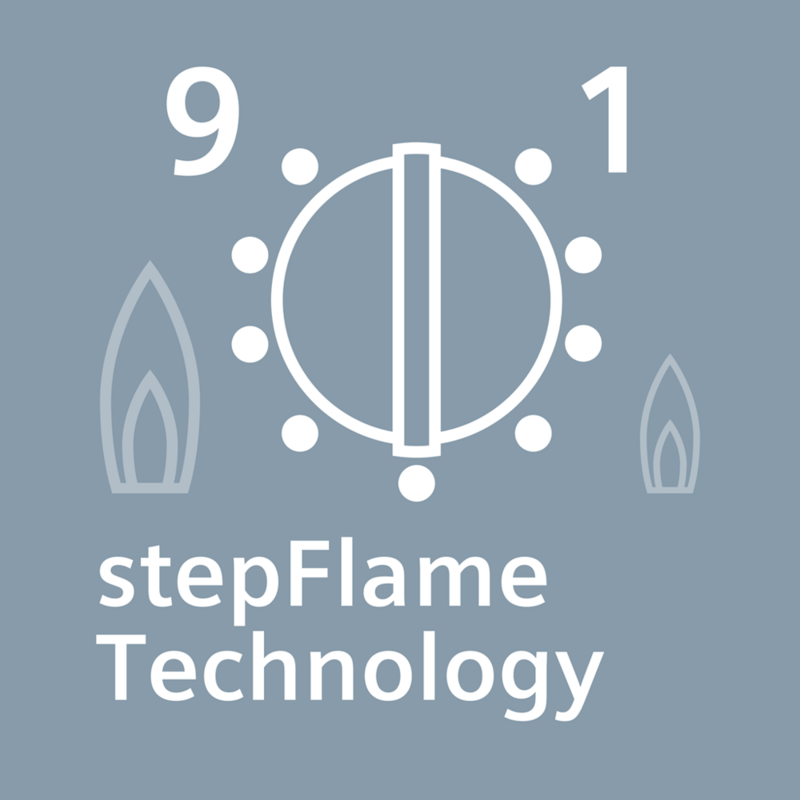 With the innovative Step Flame control, which provides 9 precise flame levels, you can accurately heat every pan. 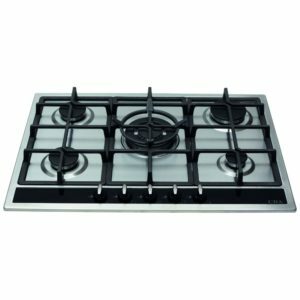 Finished in stainless steel with cast iron supports you will have plenty of space for your pans, especially with the powerful wok burner.